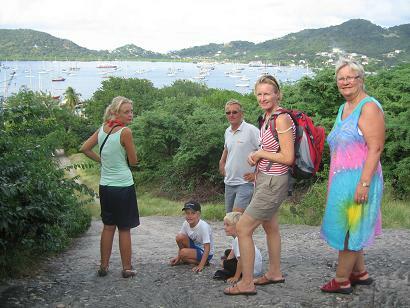 Carriacou island is part of larger Grenada. It's reputation is to have 'over a hundred rum shops and only one gas station'. We did not see much (more) rum, but found a more untouched and laid back island where farming and fishing prevail. 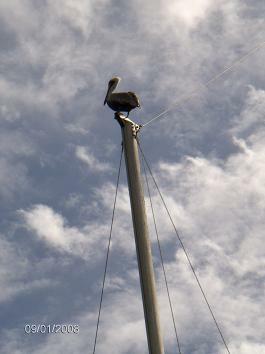 The pelicans do even better as they dive from high - often i tandem - maybe for the red snapper. Graneda and Curriacou were badly damaged by hurricane Ivan in 2004 (they were thought to be south of hurricane belt as they had none since 1954). Ivan's impact is still very visible. Very small Sandy Island, basically a sand strip on a coral reef got its own little pool when the hurricane threw up old coral. 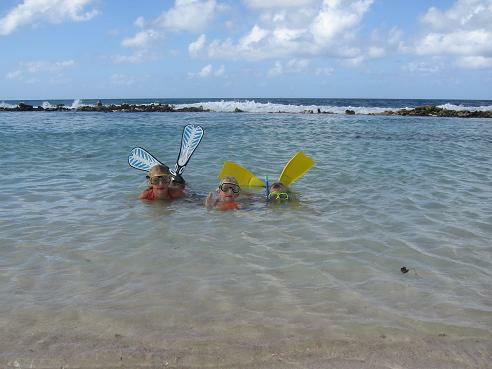 A perfect small snorkling training ground for the boys! We thought we had seen a lot on long term cruisers until we came into large and peaceful Tyrrel Bay. Why this is a favorite long term anchorage we don't quite get with minimal services around ...or maybe that's just it. Unfortunately, some also dump their boats here. The attraction may be the mangroves (back left) as a super ' hurrican hole' and protection. 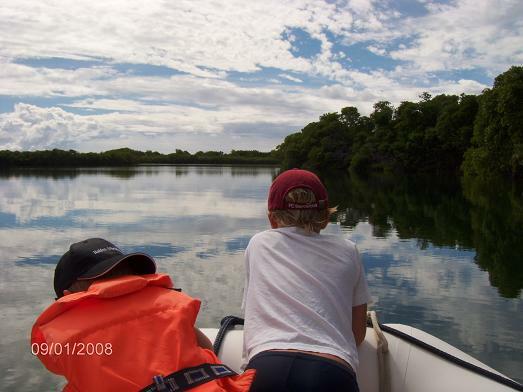 Our little dinghy ride in this mangrove 'lake' felt more like a ride on the Amazones or maybe 'Overfloden'. Ola and Mathilde from Minerva joined us looking for the anaconda and Professor Drøvel, but we found only birds, jelly fish oysters and boat wrecks. Despite fewer tourists, the island is also famous for tasty restaurants. Eating out in these smaller island is quite affordable .....also as the supermarket shelfs are rather empty, meat expensive...and the galley a hot place to cook. So we headed for Hillsborough to have lunch in what our pilot recommended...all closed! In a back street we found a very local balcony serving tasty barracuda. It provided many flavors of local life including buying our desert from the daily bread van. we need to learn how to make these coconut 'drop' buns.